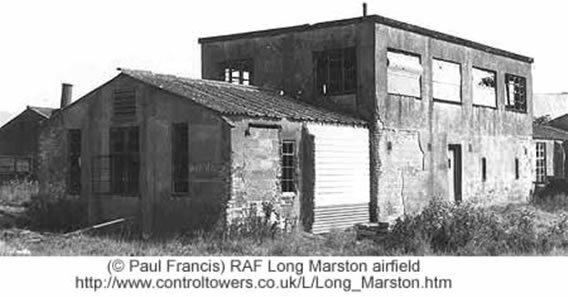 The photograph above of Long Marston , showing some of the more derelict buildings, was created by Paul Francis and comes from an excellent site dedicated to the study of World War 2 airfields in Great Britain. The site is created by Robert Truman. In his introduction, Mr. Truman speaks of the Control Tower or Watch Tower which is the heart of flying operations. During WW2, the congestion of planes, weather conditions and industrial smog made flying conditions dangerous and stressful for Crew and Controllers alike. We applaud the efforts of Mr. Truman to preserve these images before this heritage is lost. Link to site: http://www.controltowers.co.uk or click here.